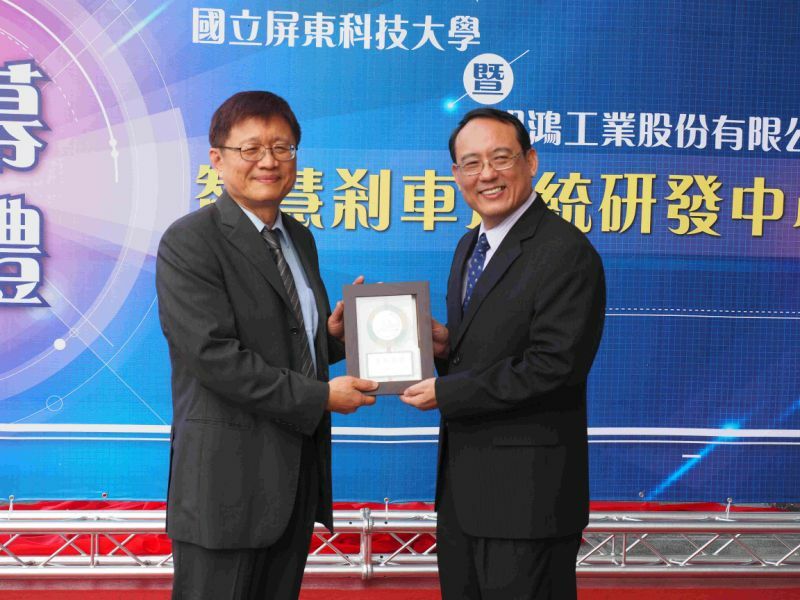 Pingkeda and Minghorng Industrial Co., Ltd. jointly established the Smart Brake R&D Center, and announced the successful development of the industry-university cooperation between the two companies: the locomotive variable ratio linkage braking system (VCBS). VCBS is a brand-new locomotive technology product. It was developed by the vehicle department and Minghong Company in three years. It has obtained Taiwan invention patents and applied for invention patents from 10 countries around the world, and has successively promoted three locomotive manufacturers at home and abroad. The "proportional brake system" prevents locomotive drivers from erroneously causing accidents caused by the front wheels in an emergency, benefiting many locomotive drivers.